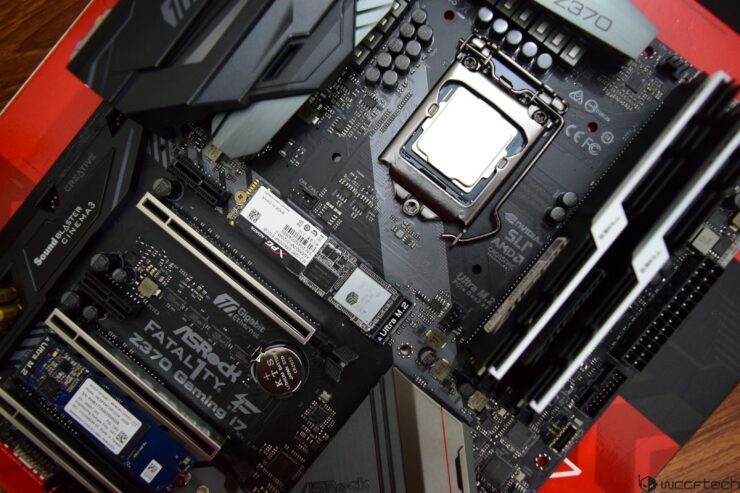 The first Intel Z390 motherboard has just appeared on SiSoftware’s database revealing that the new products based on the upcoming chipset may arrive sooner than expected. The Intel Z390 is a not a new name that we are hearing of, it appeared months before the Coffee Lake-S launch. At that time, there was no evidence of why Intel was producing the chipset but later, we got to learn that the chipset will be designed to support 8 core CPUs that Intel will be launching in 2018 to compete against AMD’s Ryzen processors of the same tier. 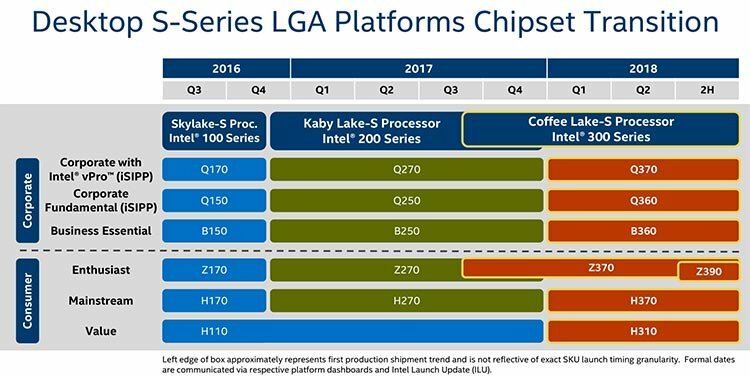 With Coffee Lake-S, Intel has already brought the first core count bump to the mainstream platform in several years which can be seen as a direct response to AMD’s Ryzen family. But Intel still lags behind the mainstream core count and has 2 less cores than what AMD offers. Sure, Intel has their IPC lead but users looking for that slight extra edge that you get with two more cores will see Ryzen more appealing than Coffee Lake. So about today’s leak, we are looking at the first official confirmation that Z390 does indeed exist. 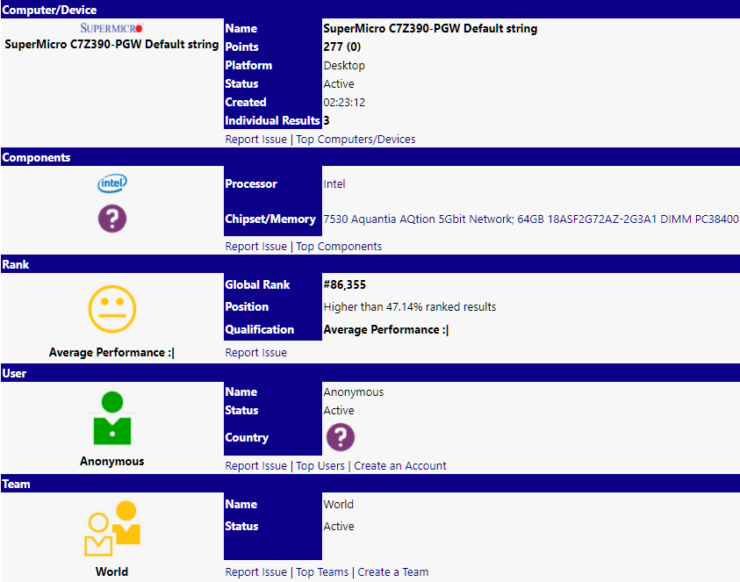 The SuperMicro C7Z390-PGW has just appeared on the SiSoftware database and has been tested with an Intel CPU which seems to be an engineering sample of sorts. Quite weird that the chip was not detected by the software since Coffee Lake-S support has been added. That could mean one of two things, either the board is so fresh that it cannot detect the CPU itself leading to the database error or it’s a new processor altogether. Do note that the processor is listed as 92W instead of 95W for the 8700K. Aside from that, the chip does has similar specs compared to the Core i7-8700K so it’s leading me to believe that it was used but early BIOS failed to properly register it. Aside from that, the Z390 motherboard comes with a Aquantia AQtion 5Gbit network and was tested with 64 GB of DDR4 memory. There are no results that we can compared it with right now but we have details from certain manufacturers that Intel is definitely pushing the Z390 boards to hit the market sooner than later. We were advised a time frame of 1H 2018 instead of 2H 2018 (as indicated on early roadmaps). We will make sure to keep you posted on more Z390 motherboard news as it appears, so probably expect an update by Intel at CES 2018.